The hallway was one of the first areas of our house that Dave wanted to address when we moved in. I wasn't really that fussed although I knew it wasn't painted to our taste and definitely needed changing. My main concern was the bedroom and the kitchen but Dave made a good point, its the first part of your home that people see, the first impression. So a few weekends ago we set to work. Here is a little before shot, eventually we would maybe like to paint the wooden stairs white and replace all the doors with more modern ones but that will not be for a while yet. 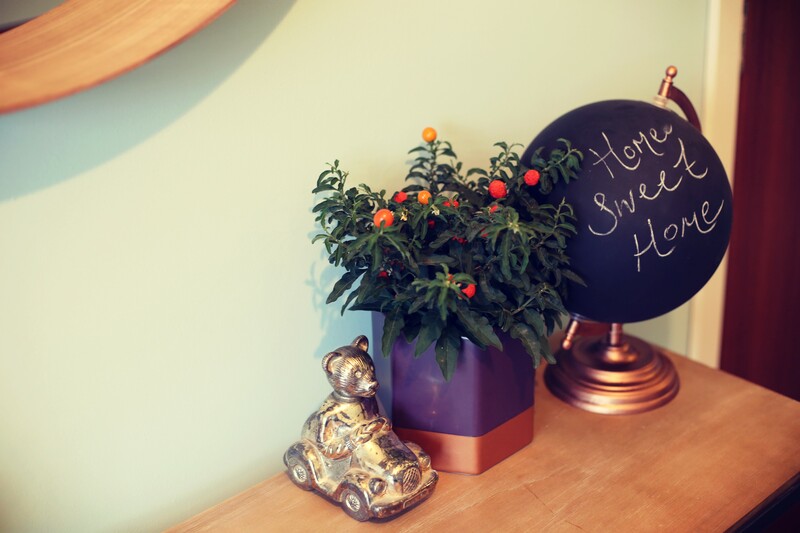 The walls were painted a gold/mustard shade and with a textured paint. 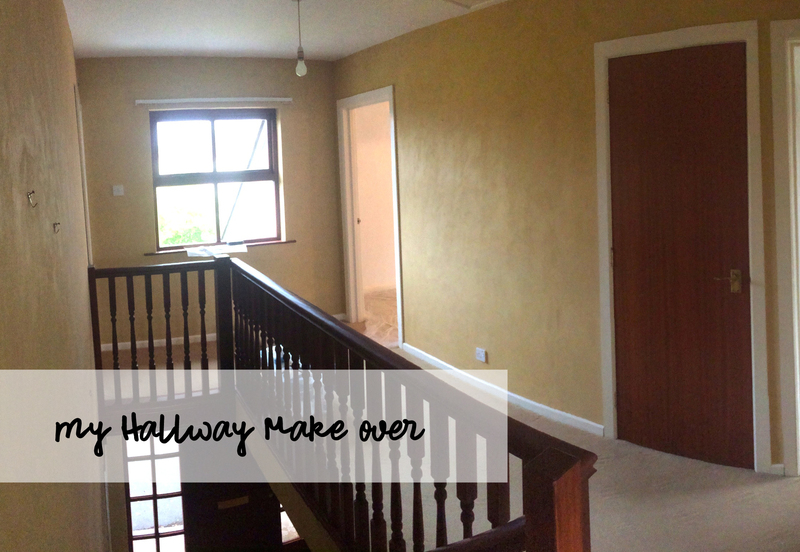 We decided just to paint over the sandy texture instead of having the walls skimmed. We picked a pale blue/mint shade called Mint Macaroon by Dulux and two coats actually completely covered the textured paint and brightened the area so much! 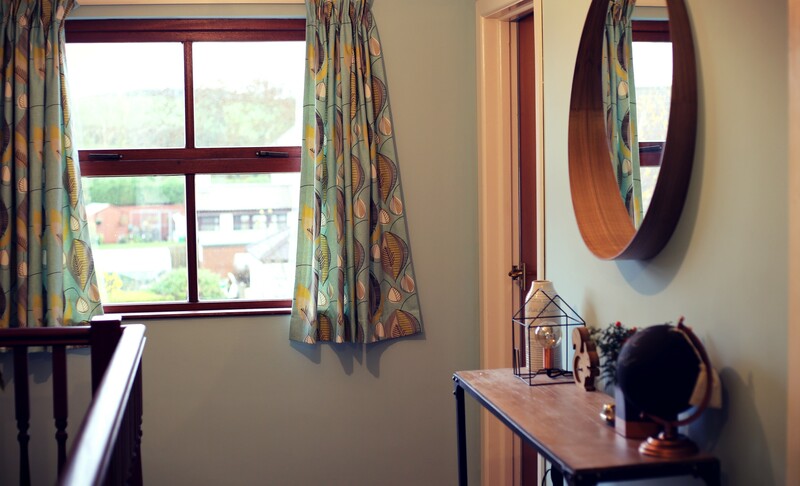 We picked fabric for curtains in a blue and grey pattern and my lovely mum whipped them up for the window upstairs and full length ones for our doorway downstairs. 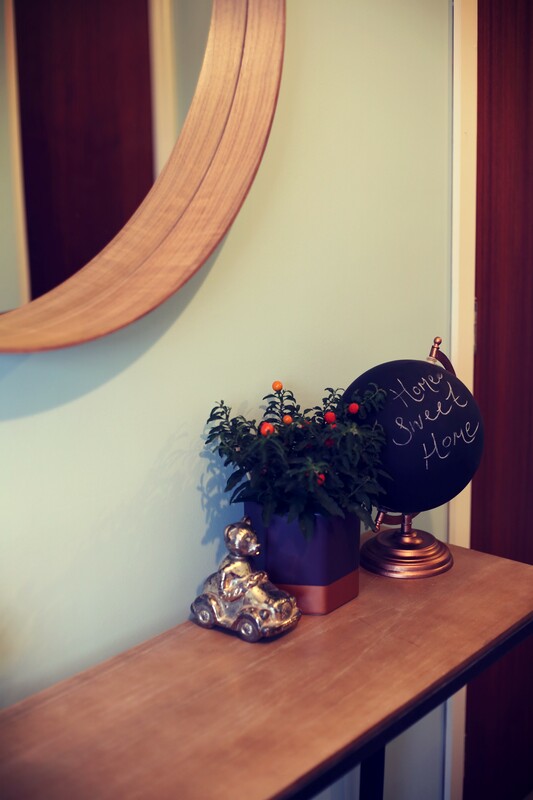 We added our industrial console table, some little home decor trinkets and this awesome statement mirror and our hall is pretty much complete. At the minute we have kept the carpet as its neutral and in good condition but some day I think we would change it for a darker thicker tread carpet. 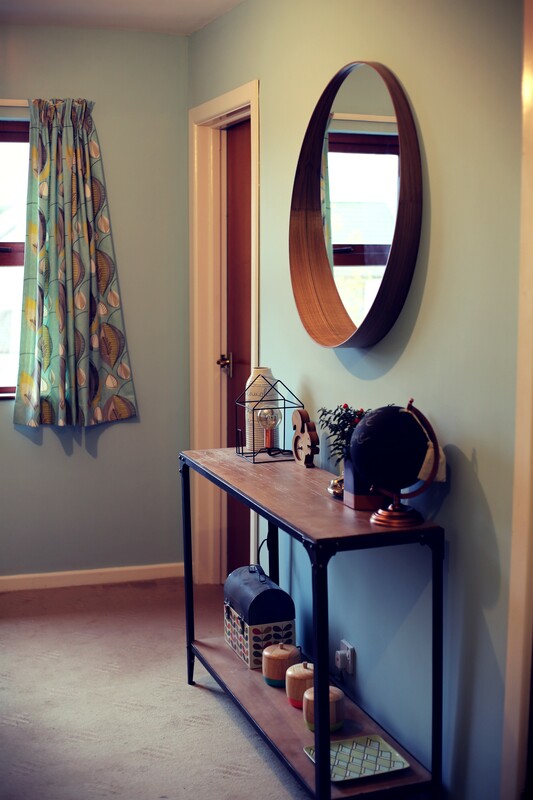 And voila our little landing/hallway Im really pleased with how it looks! 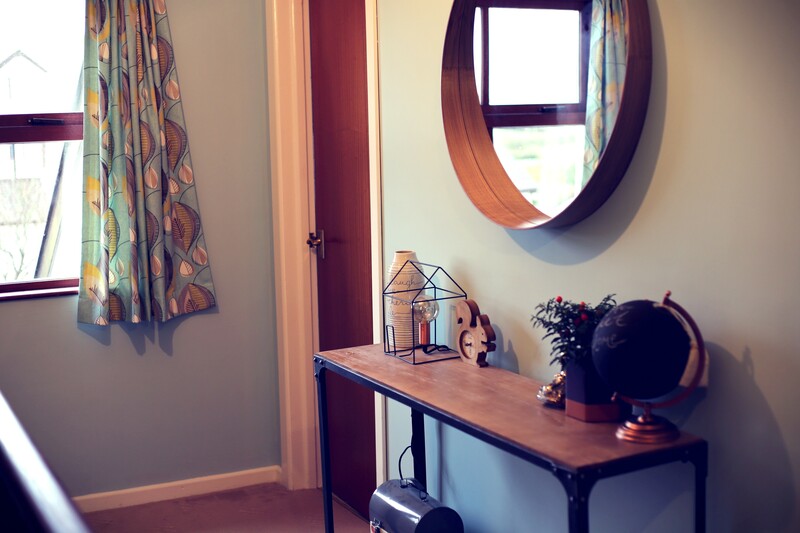 We still need lampshades upstairs, to put our curtains up downstairs & still need a few photos on the wall but Ill be sure to share photos here as soon we have that done too! Oooh it's made such a difference! It looks so lovely. Looking fab! ^___^ Especially the table. The difference is amazing! The table and mirror are great additions. 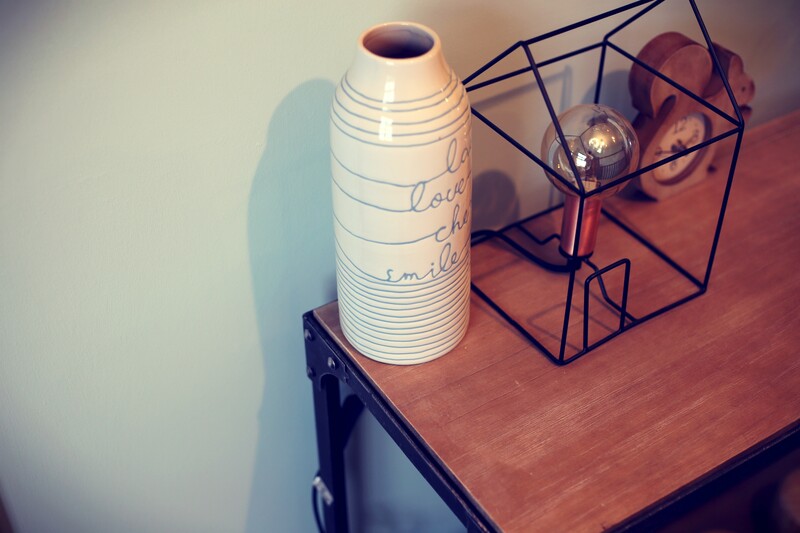 Love the little details, your squirrel clock especially, the hallway looks great!